My name is Giovanna, and I am the mother of baby Ivanna. We are from Mexico, and I want you to share our story. My family has a history of genetic thrombophilia – I had three DVTs in my right leg – but doctors said that we didn’t have to worry about our baby, because babies rarely have blood clots. They said we would have to have her regular exams at the age of 10 years and that was all. I had a beautiful, healthy child and named her Ivanna. She was born measuring 20.07 inches in length and 6.28 pounds in weight. Ivanna was born by C-section at 40 weeks without any complications. Visits to the doctor were for vaccinations since she never became ill. She exclusively breastfed up to six months old, and then she began eating solids through a baby-led weaning method. Ivanna continued breastfeeding up to 16 months old. She loved healthy and nutritious food. 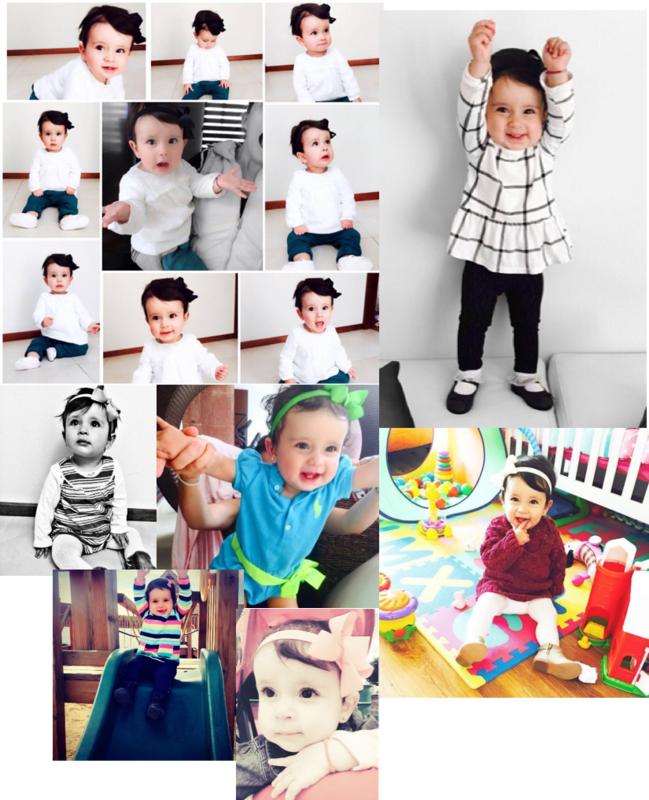 Ivanna was a baby girl full of joy, immensely happy, and cheerful. Ivanna’s childhood development was completely normal. Her vocabulary covered around 15 words, she ate alone with cutlery, and she started to use the potty. Her body and motor movements were quite refined. Our nightmare began five months ago, when she was diagnosed with viral laryngitis. That same week her voice tone improved to normal. She was doing fine when one week later, Ivanna vomited in the morning and around noon she was taken to a pediatrician for evaluation. She was sent to have a complete blood count analysis. She was given a dose of heartburn medication, which she vomited twice that night. The next day, she woke up normally and hungry – and that was the last day I saw her the way she was then. Her CBC blood test results showed signs of a slight bacterial infection, and Ivanna was given antibiotics. She was very sleepy and she didn’t want to wake up. At night, she started having muscle spasms, but never signs of fever, pain or any other symptoms. Ivanna was taken to the emergency room. She was admitted with a diagnosis of sensitivity to the heartburn medication, and she was given a quick charge of serum. The doctors said that she would wake up in a few hours, but she never did. The doctor was not able to diagnose a blood clot at that time. Ivanna was scheduled to be seen by a neurologist the next morning. When the neurologist arrived, she reviewed the TM scan results and saw a large hemorrhage. Ivanna was taken to have an MRI scan with contrast dye and then taken to intensive treatment immediately. She was put into a coma, connected to oxygen, had a catheter inserted, as well as an arterial line and probe. Her diagnosis was a large blood clot called a cerebral venous thrombosis of the deep system. The blood clot is not really the problem right now, but what it is doing to my baby’s brain is called a hypoxic-ischemic lesion in the basal ganglia and internal capsule thalami – which are life-threatening conditions. The doctors give her a 40 percent chance of survival. She is alive now, but has big neurological problems. She came home from the hospital in a vegetative state. My daughter and I are both heterozygous for the G20210A (Factor II) mutation. All of our dreams and family happiness are gone with this diagnosis. Ivanna is receiving six different therapies a week with professionals, and I care for her at home and help to exercise her regularly with Glenn Doman exercises. To learn more blood clot risks, signs and symptoms, please click here. To learn more about pediatric DVT/PE, please click here.